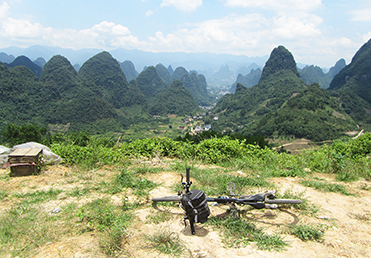 Tour Overview: Go cycling along the Huajiang River into Guilin countryside and discove an idyllic pastoral scene in rural China. 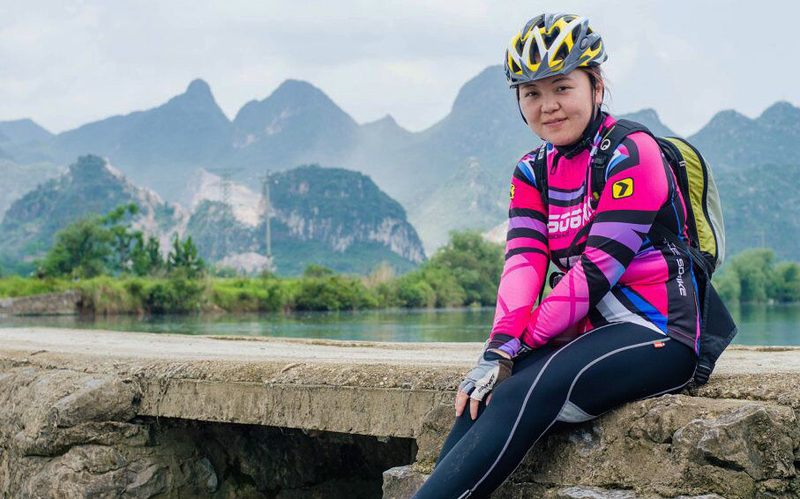 This tour perfectly fits the guests who are already travelling/living in Guilin city and searching for countryroad biking experiences, it is suitable for cyclists at any age and on any cycling level, and it's a good choice for weekend activities for friends and families. 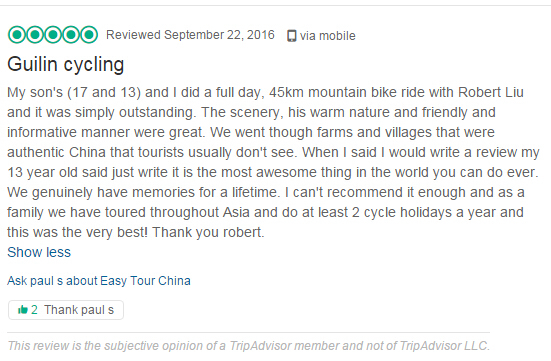 Holiday Style: Mountain bike cycling massively on paved roads some nice tracks, visit the orchards and towns, have a fun and leisure. 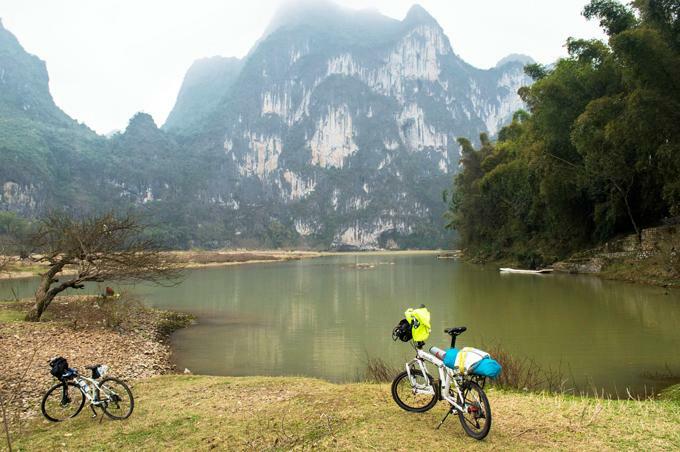 The bike trip to Huajiang River covers up 65 km in one day. This tour will be in the company of experienced leader. Part of the trails is on paved road; and there will be a little challenge for a 1.5-km climb which helps cyclists to understand the glamour of cycling. 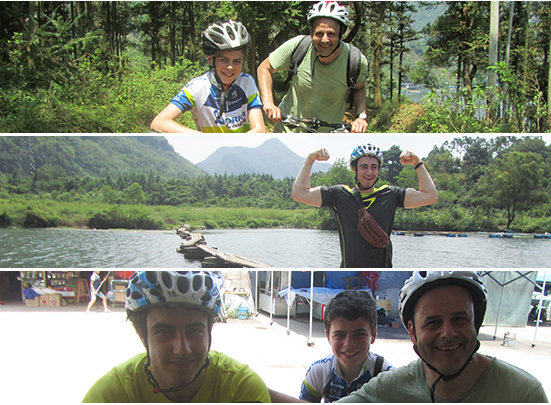 We mainly cycle the country lands along the Huajiang River, through the verdant rice paddies, and into several rural villages.We cycle back to Guilin through hidden viallages and gorgours trails where riders will encouter the experience they are hard to feel in the city, acrossing the dam if the water lever is not dangerous to people, feel how does it like when cycling on off road for just a small section, bike through local villages, orchards, seeing the rice paddy, local market of Guilin, etc. It's highly recommended and a great value of your money! Huajiang River, just 16 kilometers from Guilin city, winds the way for 40 kilometers and finally flow out into Li River. There are beautiful limestone peaks, rice fields, and quiets villages. 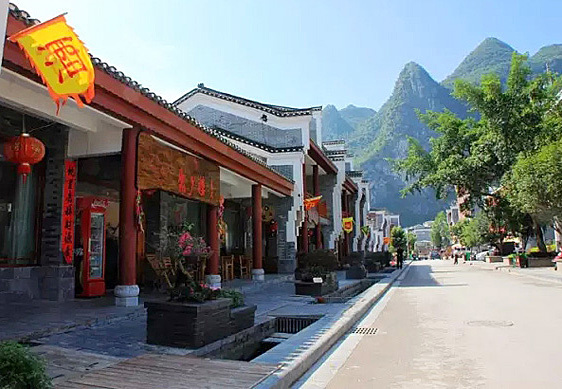 Thus, this river is praseds as the "back garden of Guilin".The country roads leads us to the famous ancient town-Daxu, we will enjoy our time for full relax visiting the old street of the town and it is recommended to try the local snacks and fruits there, strawberry, asmanthus bean jelly, etc. A. This tour is reccomended for guests under all fitness (if you book extra support service and get supported by van) and all year round. B. 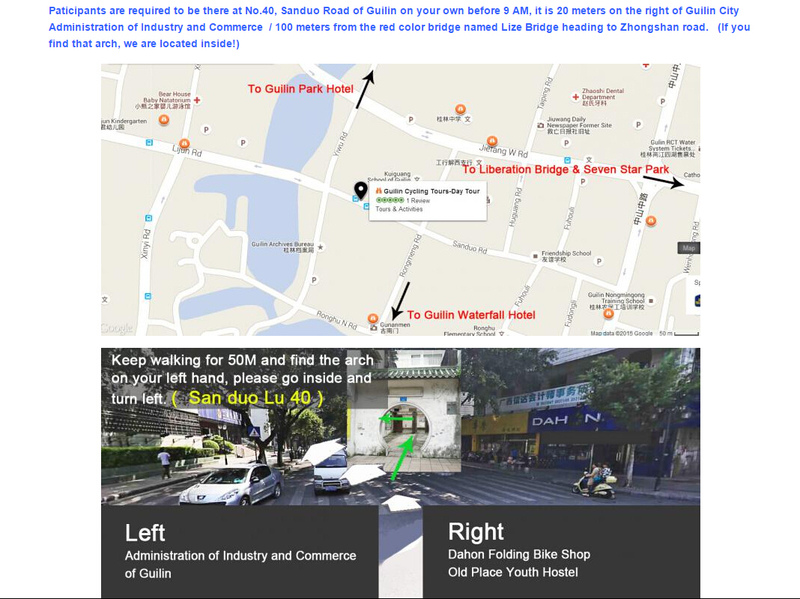 The distance of this tour is depend on your fitness and wishes, from a 40KM-70KM. C. We use public shuttle bus back to Guilin from Daxu, as the 18KM cycling on the main road back to Guilin is boring and busy with traffic. D. Thin trousers and long sleeve cycling jersey (or over sleeves at least) is more suitable than short one to protect us from the sunlight while on the bike and help us to protect the disturbing bug living in the forest. 2 - 3 CNY650 p.p.